The editors of the confession intentionally avoided addressing open and closed communion in order to allow more churches to be able to subscribe to the confession. 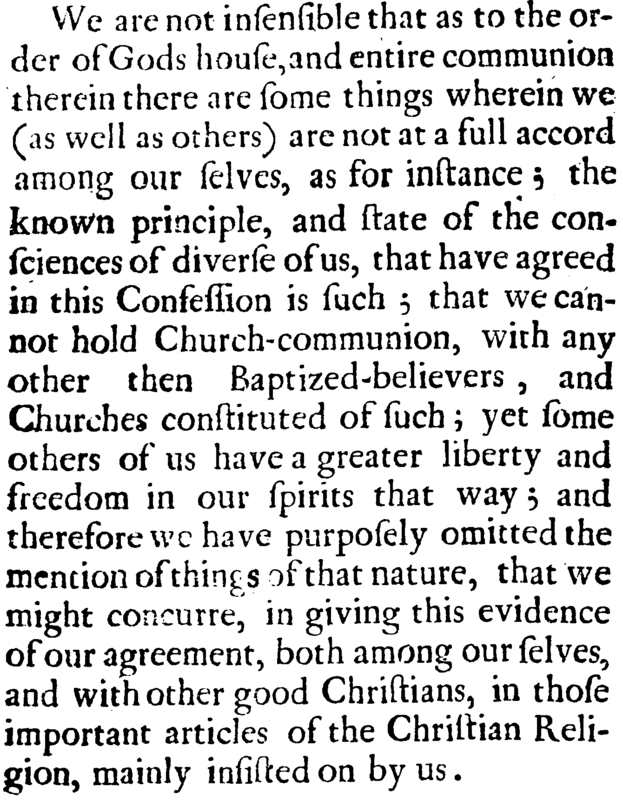 The majority of its subscribers were advocates of closed communion, but there had been a strand of open-communion going as far back as Henry Jessey and others among the original Particular Baptists of the 1640’s. To accommodate those, and especially Baptists in Bristol, the confession is silent here. They explain their rationale below. 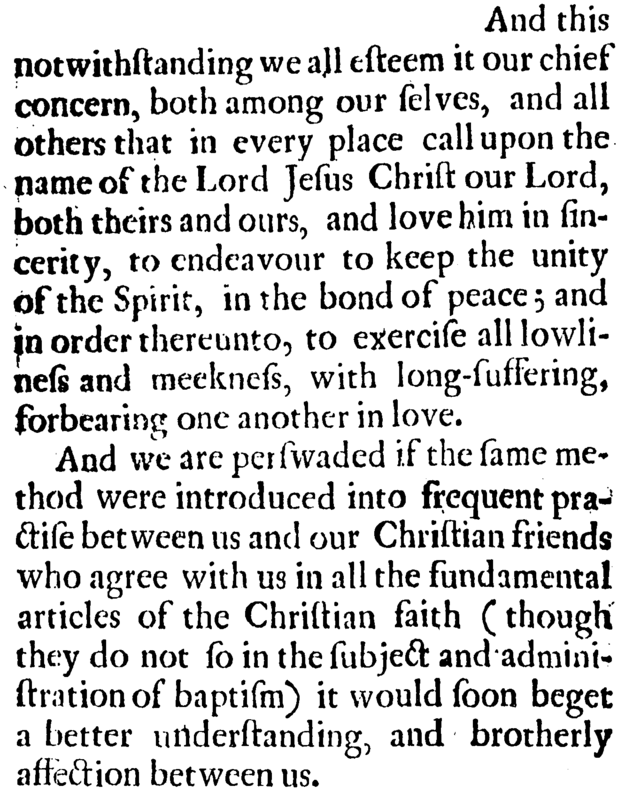 This is found at the end of the Appendix on baptism.